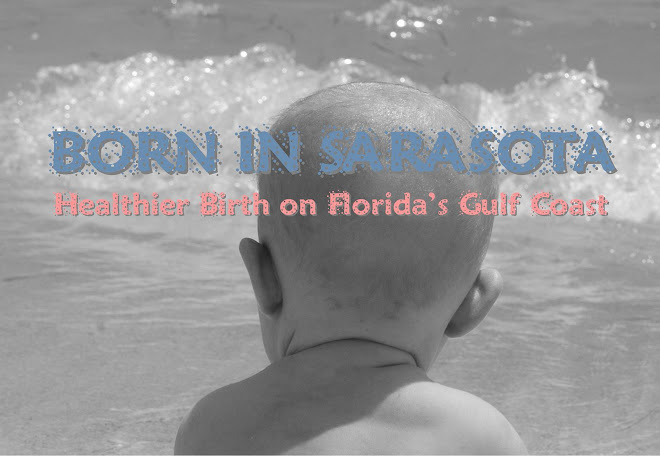 Born in Sarasota fully endorses the following position statement from Florida Friends of Midwives against the Agency for Health Care Administration proposed rule change 59-A, restricting YOUR access to birth in a Florida licensed birth center. I encourage you to contact your elected officials as well as Mr. William McCort at AHCA and voice your stance on this issue. 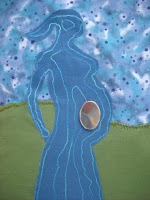 Florida Friends of Midwives believes that a woman has a right to choose her birth attendant and her place of birth. It has come to our attention that the Agency for Health Care Administration (AHCA) is currently seeking to amend the rules that govern the operation of birth centers in Florida. The proposed rule changes, should they be adopted, will restrict a woman's access to out-of-hospital birth for conditions that are widely accepted by the CDC and other regulatory bodies to be safe and normal factors not worthy of high risk status. This past March, AHCA held an administrative hearing to review proposed birth center rule changes. 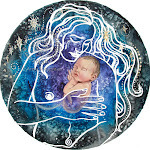 Prior to that hearing our understanding was that any changes would serve the purpose of bringing birth center rules into greater symmetry with the rule that govern the practice of licensed midwifery. It was also our understanding that interested parties including state midwifery professional organizations and consumer advocacy groups would be kept apprised of further meetings and decision-making regarding this issue. Unfortunately it is now clear that there have been several meetings held in the last several months and additional language was been incorporated into the proposed rule changes based in large part from internal suggestions by the Board of Nursing. 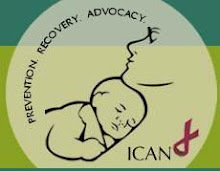 These proposed changes include: eradicating the option for vaginal birth after cesarean (VBAC) in birth centers; increasing mandatory prenatal testing without recourse; limiting access for any woman who has ever tested positive for Group Beta Streptococcus bacteria; removing the ability for licensed midwives in birth center settings to administer lidocaine; eliminating informed consent for multiparous women; and finally, restricting care providers including licensed midwives, certified nurse midwives, family practitioners or obstetricians, from practicing as they would in a hospital or out of hospital setting, including conducting physicals, evaluating risk score criteria or other limitations that bind them beyond their own practice regulations. These changes were proposed in a way that does not follow the accepted and appropriate method for amending rules as per Florida's Sunshine law. It also effectively keeps the licensed midwives, certified nurse-midwives and obstetricians who own birth centers out of the process, as well as the women and families who utilize their services. Please visit our website at www.flmidwifery.org for additional information including a copy of the most recent proposed rule changes and a template letter for contacting AHCA staff. Right now it is essential that consumers make our voices heard. Should this rule change be accepted, as many as one half of the women who currently choose to give birth in Florida's birth centers will be unable to do so legally. Today, I watched my husband feed our miraculous, 16-month-old daughter a bottle, as he has done since she was a tiny infant. As you’re reading this, you might have questions. Maybe you’re confused about why a father instead of a mother is feeding a daughter, why our baby is not breastfeeding, or why I am somehow making excuses for that fact. It’s OK. I know exactly how you feel. Before our little girl was born, I had a plan. I had so many plans. I had decided how and where she would be delivered, and how and what she would eat. I assumed it was my responsibility, and my husband’s, to cement these items before her birth. I guess I never considered our daughter’s opinion on the matter. As it turned out, my birth and breastfeeding plans, despite all my protestations, did not unfold the way I’d envisioned. As much as I tried to avoid an emergency C-section, it happened, and our nursing attempts were equally traumatic and ultimately failed. For months afterward, I couldn’t evade the inner voices. “You should’ve tried harder!” and “Don’t you care about your daughter?” echoed tirelessly in my brain. Yet, all the while, my serenity—the moments that pulled me out of those remorse spells—were the times I peeked in on my husband, our baby, and their magical bottle. Those feeding times, as he rocked her in her nursery chair, meant everything to him. He would stay up all night with her while I recovered, and he’d happily tend to her every whimper. I know how incredibly important it made him feel. Many of the most profound, beautiful and nurturing moments in our daughter’s life have been with her dad and their bonding bottle. To this day, the idea of weaning her off of it is too emotional a step for him, and neither of them is quite ready. They often say that, if food is made with love, you can taste it and feel it. I know our daughter can and always has. I sometimes wonder what it would have been like if things had gone according to “the plan” and it was only me that ever experienced that invaluable closeness with our girl. For us, there was another way. For you, maybe it wouldn’t have been the right one. But I’ll never erase that image in my mind of dad and daughter and the food that has inseparably linked them. Whether it comes from a breast or a bottle, love is love. And our daughter, I know in my heart, is full. Editor's note: This is a story that needed to be told. Much like the evidence supporting natural childbirth, the evidence supporting breastfeeding can be overwhelming to a fault: those that can truly not sustain the relationship, for whatever reason, must fight feelings of inadequacy that can even lead to postpartum depression in some cases. This story is another case-and-point: we should all be striving toward healthy practices for birth and postpartum care as a society. And we really should support each other. Period. 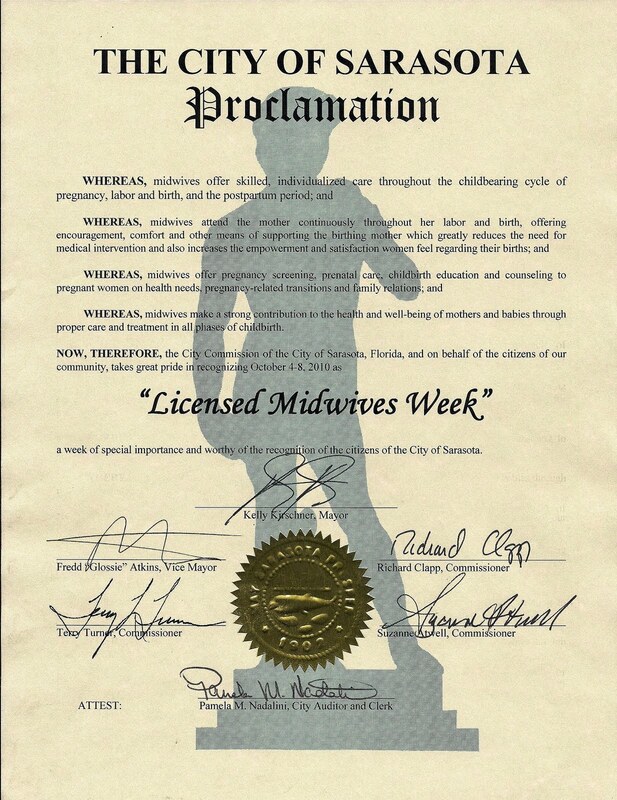 Click here to watch yesterday's Proclamation of Licensed Midwives Week from the City of Sarasota (3:38:11). Thank you so much for your proclamation tonight honoring Licensed Midwives Week. I know that I speak on behalf of hundreds of Sarasota families when I tell you that such a recognition is much more than a piece of paper, much more than a pat on the back for our midwives. It shows our young families that our elected officials care about healthy maternity care practices. It gives pregnant women a vote of confidence that their local government supports their evidence-based decision to choose the safe and loving care of midwives for their prenatal, labor and delivery, and postpartum care. In the words of our nation's most groundbreaking and well-respected midwife, Ms. Ina May Gaskin: "You all are creating a little oasis of sanity there in Sarasota. Keep building: this is such important work! Please give my greetings to Kelly Kirschner. I hope that we will soon see other cities and towns making similar proclamations." With our city, state and nation's cesarean section rates on a dangerous incline, and our nation's maternal mortality rate an abysmal 41st in the world, moments like the one you facilitated tonight offer beacons of hope to so many who work so hard for improved outcomes in maternal and infant health. Many, many thanks to each of you. My thanks to the Sarasota Herald-Tribune for printing my letter to the editor in this morning's paper, encouraging readers to bring their families to City Hall for tomorrow's proclamation. At the Sarasota City Commission meeting on Monday at 6 p.m., Mayor Kelly Kirschner will proclaim Oct. 4-8 as Sarasota Licensed Midwives Week. The recognition will pay tribute to the skilled, individualized care that licensed midwives offer women and their families throughout the childbearing cycle, making a strong contribution to the health of our community through appropriate care in all phases of childbirth. The week has also been proclaimed Florida Licensed Midwives Week by the office of Gov. Charlie Crist, coinciding with National Midwifery Week, a time to recognize the contributions of certified nurse midwives, certified midwives and certified professional midwives nationwide. Throughout the state, about 12 percent of births are managed by midwives, rather than by an obstetrician gynecologist. 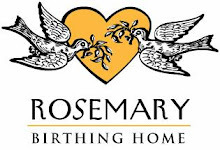 Many birth centers and midwives have reported a significant increase in business in the past year. This is believed to result from various factors, primarily a desire for an alternative to hospital birth because of an unhealthy increase in caesarean sections and other unnecessary interventions that frequently occur in hospital settings. The Midwives Model of Care is based on the fact that pregnancy and birth are normal life events. I am proud to live in a city that recognizes the safe, cost-effective, nurturing model of care midwives provide and the positive effect their service has on our community's birth outcomes. Please bring your families to City Hall on Monday evening and show your support for this proclamation. The writer is vice president, Florida Friends of Midwives, and serves on the executive board of directors, Healthy Start Coalition of Sarasota County. 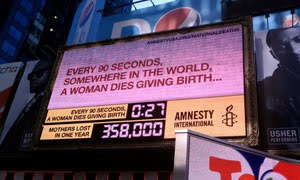 Amnesty International has brought media attention to the maternal mortality rate with the installation of the International Maternal Death Clock in New York's Times Square on September 20th. Yes, this is an international crisis that deserves immediate action. But every time I see an article or hear a news report about how many mothers die elsewhere, I feel compelled to bring even more attention to the current estimated mortality rate of the United States. Data from death certificates compiled by the CDC’s National Center for Health Statistics indicated the annual maternal mortality rate to remain approximately 7.5 deaths per 100,000 births from 1982-1996. Between the years of 1996 and 2003 the approximate maternal mortality rate increased from 8.5/100,000 to 12.1/100,000. In the year of 2006 a total of 569 women were reported to have died from maternal causes and the maternal mortality rate for this year rose to about 13.3 deaths per 100,000 births. Since 1982 the United States has been largely ineffective at lowering the current mortality rate and in recent years the number has been rising. 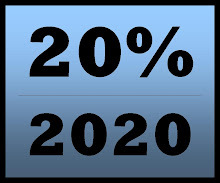 As a nation we moved further away from our Healthy People 2010 goal of reducing the maternal mortality rate and, rather than addressing this issue, we pushed it back as a goal for Healthy People 2020. Despite the $86 billion dollars we spend on pregnancy and childbirth, more than every other nation in the world, we offer our mothers substandard care that is focused on high rates of intervention (and thus high rates of cesarean section) and outcomes that rank us 41st in terms of maternal mortality according to The World Health Organization. What is most disturbing is that this number is a very rough estimate as only 6 of our great nation’s states require mandatory reporting of a maternal death and only 21 states have maternal mortality review boards for their state. How can we properly assess our present situation and implement corrective action when our country does not even have an accurate and standardized reporting system of such information? This nation needs to implement a standardized system that evaluates periodically how many women die yearly as a result of complications of pregnancy, during childbirth, and as a result of childbirth (with particular attention paid to women who are readmitted to the hospital after complications of cesarean delivery). It's shocking that with as much money as our country spends on health care and on maternity care in particular that we don't simply keep track of the mothers that are dying and why. Please sign this petition to Congress to simply make maternal death reporting mandatory. It's the only way we can begin to be a safer place to give birth.